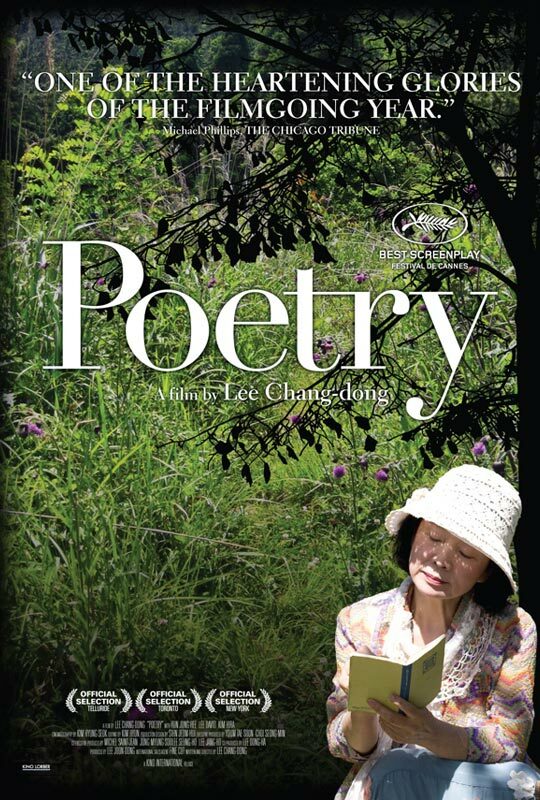 I still remember Lee Chang-Dong from a ‘Peppermint candy’ so ”Poetry” is something I was really curious about. I haven’t read any reviews of it, I suppose it was well received as that was a Cannes nominee (a winner? must google it later) . For me that’s something very similar to Kaplanoglu’s picture ‘Honey’. The loss of a spoken language caused by Alzheimers is a birth of poetry for Mrs Mija. The skill she’s trying to develop so hard comes naturally with a sequence of dramatic events.. From my perspective, both Kaplanoglu and Lee Chang are taking from the oldest mythologies: prophets were many times blind: to get a vision of the future events clear, they gave up on seeing the present.. Mad men were believed to be saints, to have direct connection with transcendental powers. Too see more, to reach further, one has to give up on human, down to earth abilities (sight, speech, reason…) And then, Mija’s life is heroic. She’s a visioner and an (unrecognized) hero. She makes a sacrifice of herself to erase human sins. And all about her is unique: her acceptance of life, her will to explore, her compassion and redemption (is this the right word.. ? ) in the final. Oh no! Polish EU presidency is just starting and I’m yapping about movies. Need to make a new post. I am a natural-born seaman: I love seafood, seashore, boats, ships, submarines, sea horses, seals, sea watching, swimming, diving, listening to the sound of waves. I have Istanbul’s shore photographed better than Google Earth. 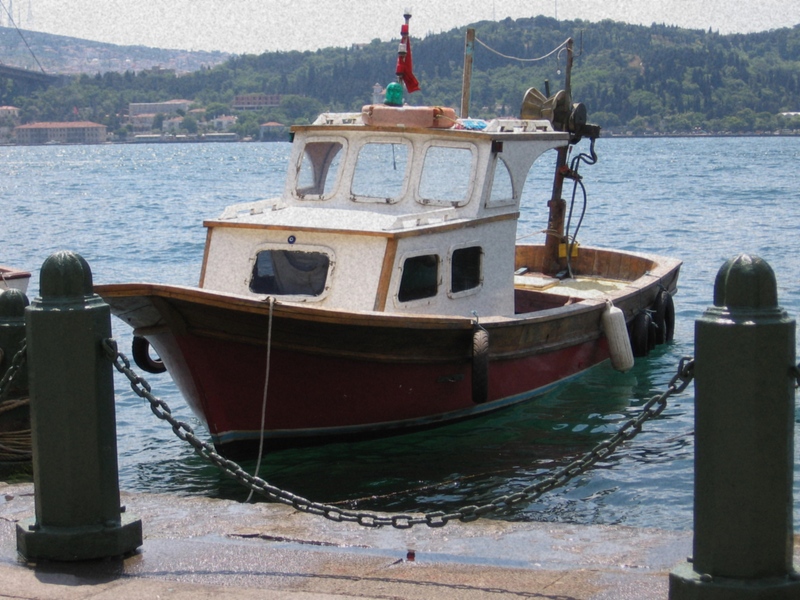 This one is taken at Ortaköy, June 25th. More to follow. 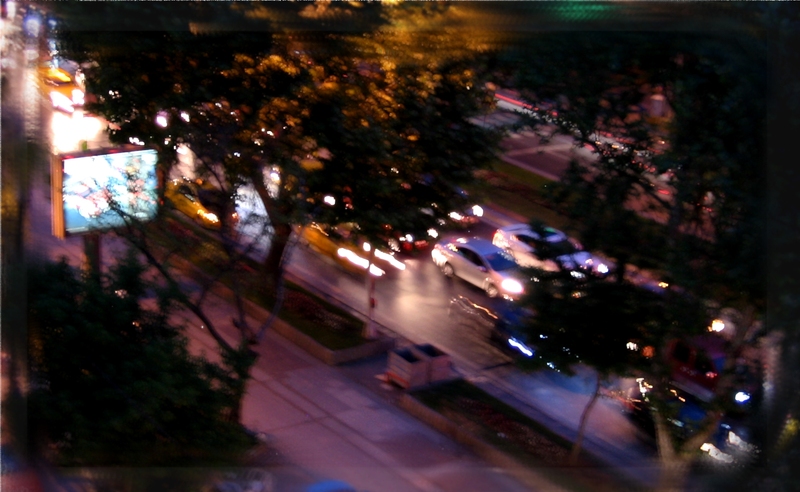 Hot, trafficked night blurry seen by one happy girl. One of the best Fromm’s writings. 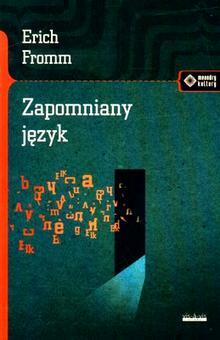 Fromm is a father of humanistic psychoanalysis and except of being a great scientist he was a good writer too. Last time I read ‘Forgotten language’ it was at the university, mainly for its fascinating research on world of myths trapped in our dreams. Last month I spotted this book in one of Krakow’s bookstores and couldn’t resist from buying. That’s something everyone should read. Obligatory in high schools! You know what gravitation is, you know Marco Polo, you read Fromm and you can read your dreams. 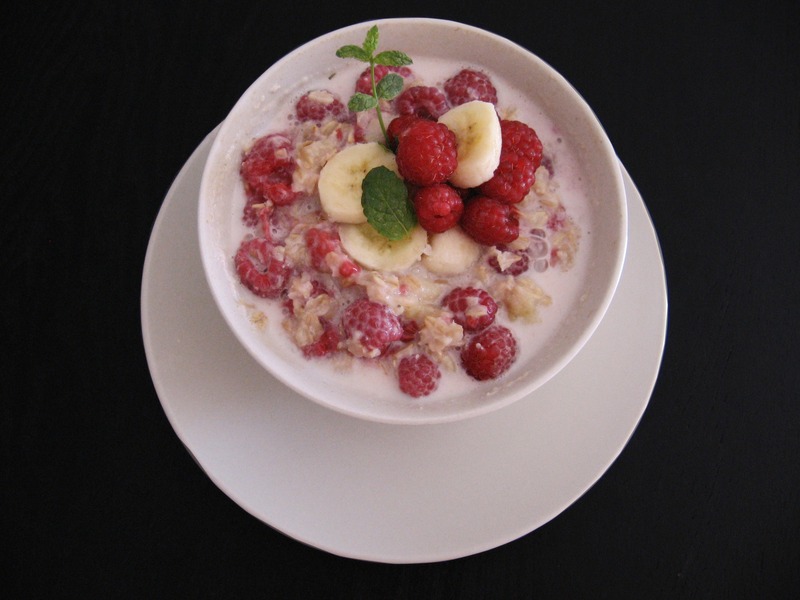 Oats. Rated to be the third healthiest food in the world. Beat egg with sugar and melted butter. 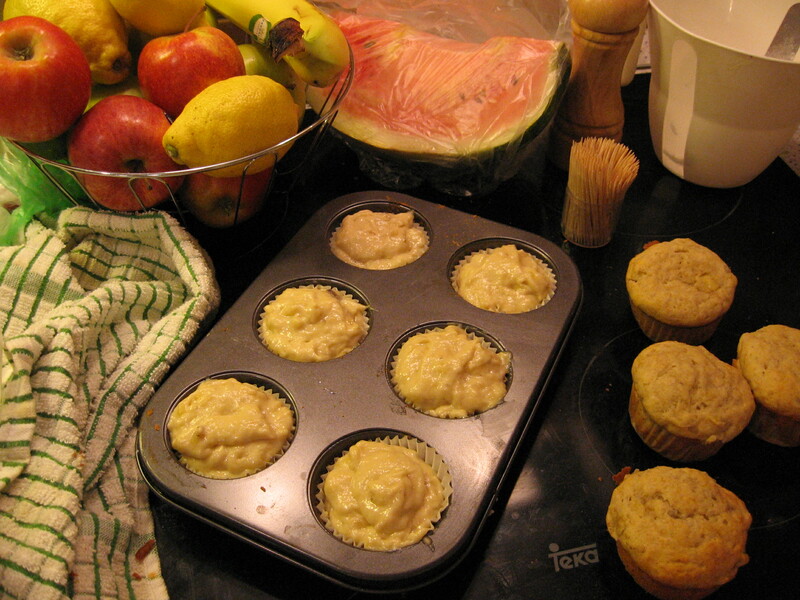 Add mashed bananas and flour mixed with salt and baking powder. A good idea is to leave some bigger bits of bananas. Bake in 180 Celsius for 20 mins. Ubic jajko z maslem i cukrem pudrem. Dodac ugniecione banany – dobrze jest zostawic troche wiekszych kawalkow dla smaku. Dodac make zmieszana z proszkiem do pieczenia i sola. Piec 20 min. w 175 stopniach. It’s so hot I can barely breathe but I’m still crocheting warm and cozy winter slippers.. Well! In December I’ll congratulate myself for sure. 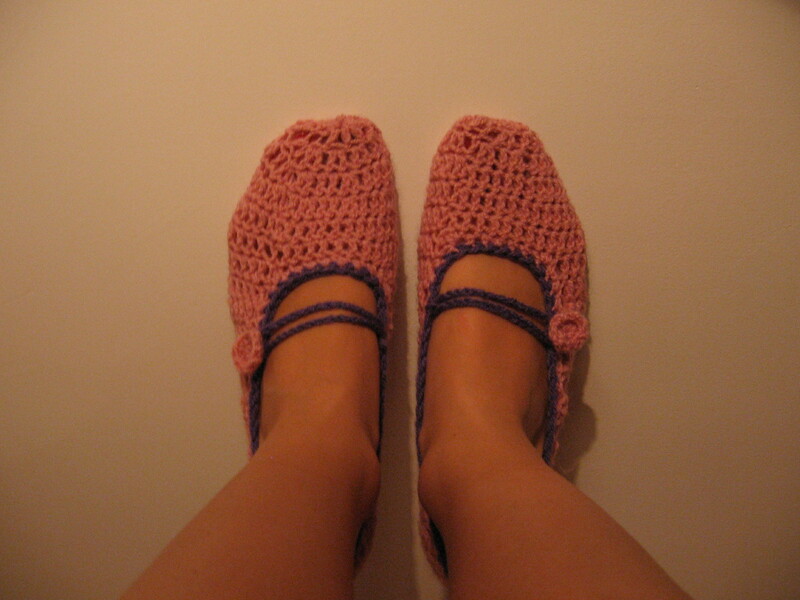 I really like the pattern, which is ‘mary jane slippers’ – it’s so simple and it took less than 3 hours to crochet the slippers including of making these little buttons. I will use a smaller hook next time to make the stitches more tight. 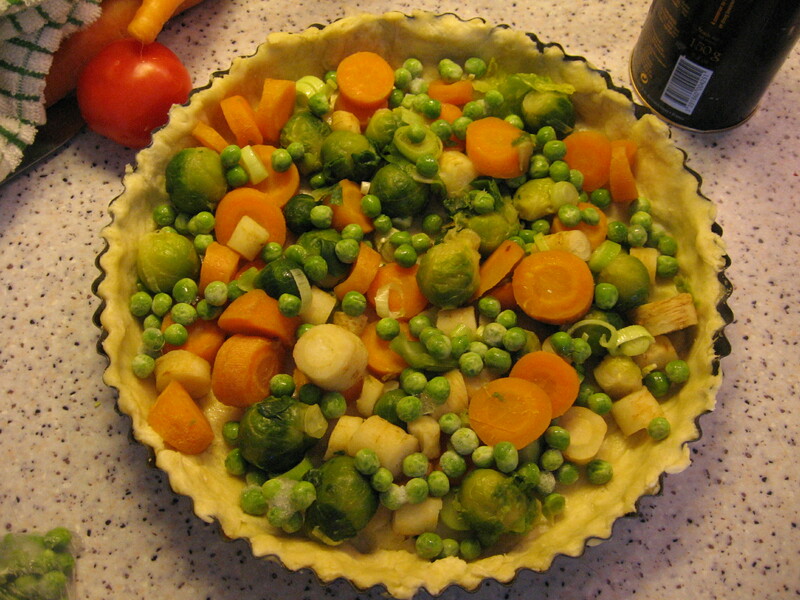 Another tip for summer cooking: an ultimate tart with any veggies from the market. I make it with carrots, parsley, sprouts, green peas and green onion. Making a dough it’s literally 10 mins and it will make this tart outstanding. So! 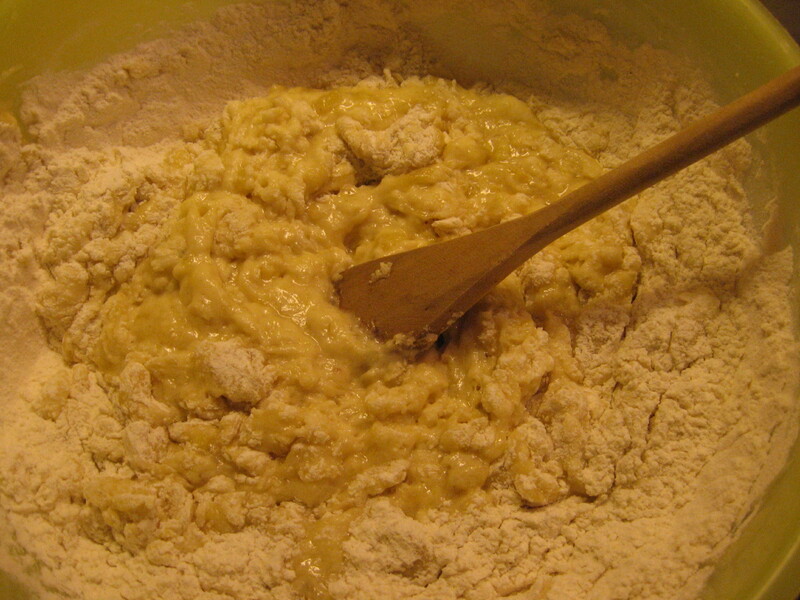 I add cold butter to the flour and chop it with a knife till crumbled into small pieces. Then add eggs, olive oil, a pinch of salt, water and very quickly knead a dough. I never spent much time on it. First, I’m lazy and second (important) the less kneading the more crunchy the tart gets! I form a ball and put it into the fridge for 1 hour. It can also stay there for a night.When ready, I roll the dough over shape it in the form. 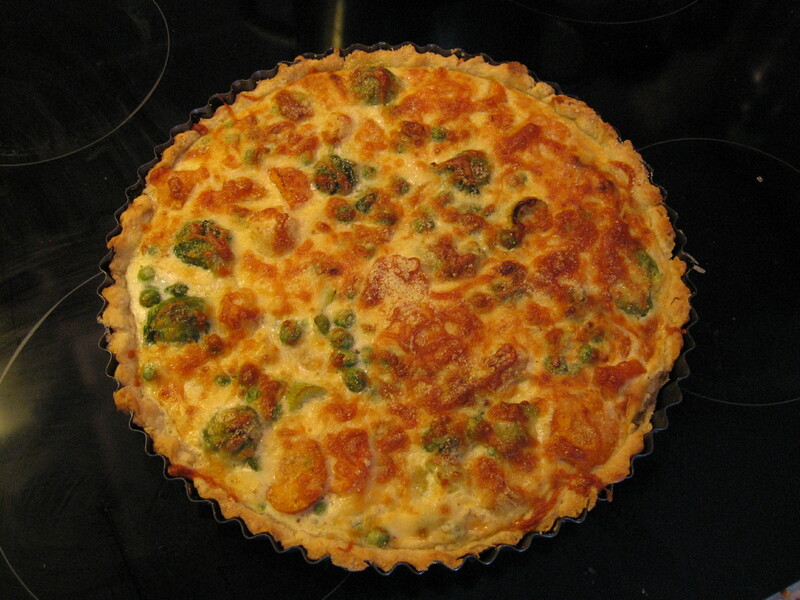 I blanch veggies or 3-4 mins, cut them into the cubes, dry them, take into the tart form and add the filling: milk, sour cream, egg, nutmeg, cheese mixed together. I put even more cheese on the top and bake in 200 Celsius for 35 mins. Peel off tomatoes and chop cucumber, pepper and garlic. You can leave some cubes of tomatoes and cucumber for decoration. 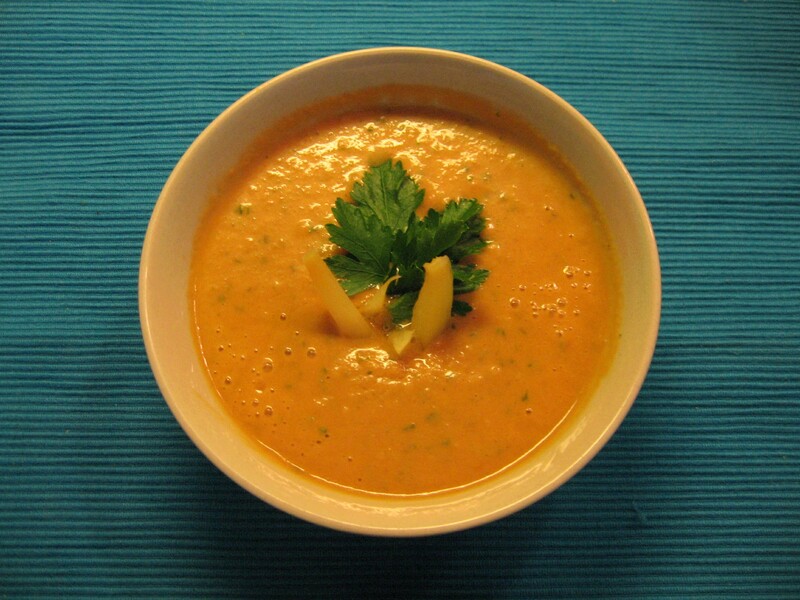 Mix all in a blender till smooth, keep on blending and slowly add vinegar , olive oil and lemon juice. Season with salt and pepper, cool down in a fridge for 30 mins. An option is to add some crumbled bread or baguette to the mixture, it’ll get more thick but I like to keep it light . They serve it with a grilled baguette. Once I got an idea to grill a baguette topped with some butter mixed with fresh bitter-cress (I have never seen it in a shop so I just plant it and this vital herb is growing within a week) and garlic salt. 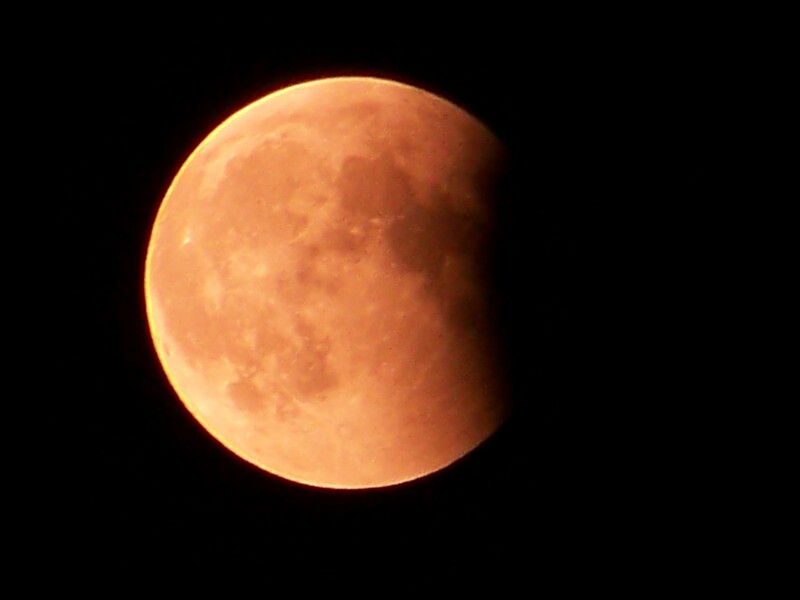 Szymek & Marek photo project: Moon eclipse seen from some of the Krakow’s coolest spots at Korona stadium yesterday around midnight.